"I always was a bit of a theatrical drama queen. I like to put on a show; not just stand there, but do a bit more like what Peter Gabriel would do, or Bowie or Alice Cooper. 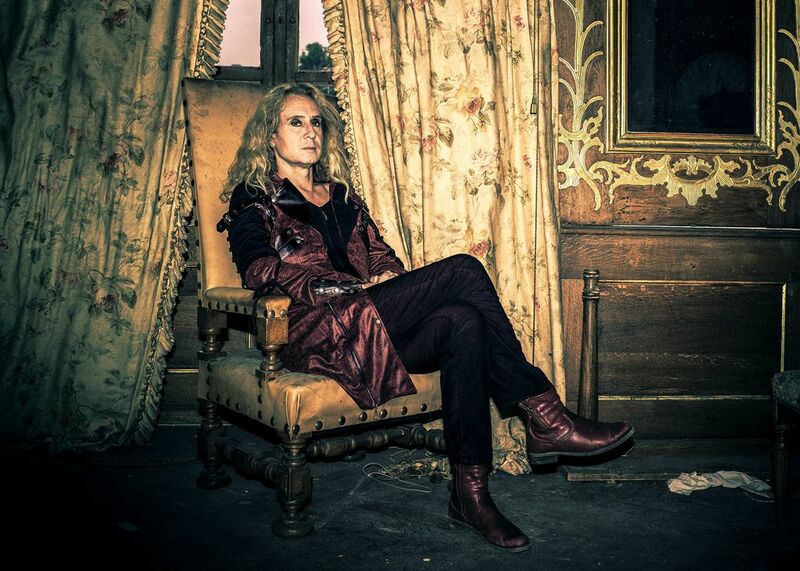 That all comes very natural for me.​"
Blessed with one of progressive rock’s richest voices, Nad Sylvan has for the past few years been working closely with former Genesis man Steve Hackett, both as a live performer and in the studio. 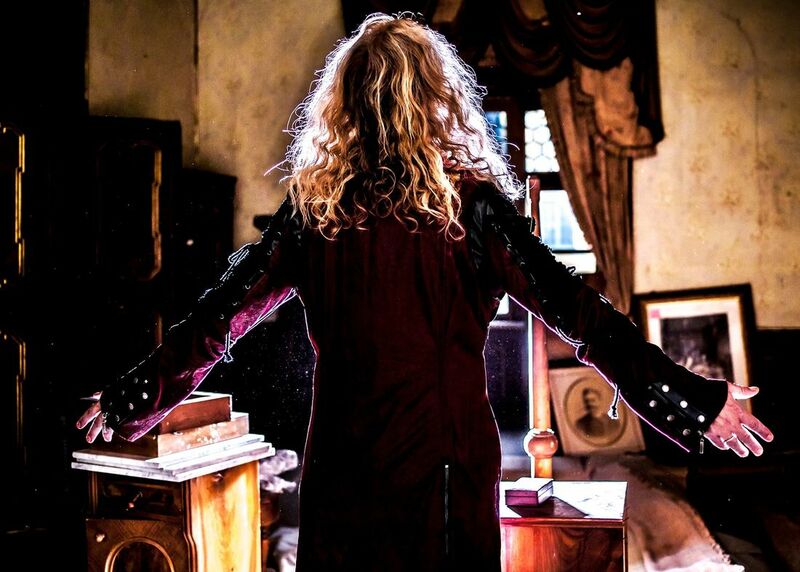 Formerly co-captain of the Roine Stolt (The Flower Kings and Transatlantic) led Agents Of Mercy, the amiable singer is now readying the release of his second solo album. With bags barely unpacked from the most recent Hackett trek, Nad sat down for a chat with eonmusic about ‘The Bride Said No’, life on the road, and his multicultural lineage. The quartermaster; Eamon O’Neill. ​Hi Nad, how are you today? I’m recouping from a very, very long tour. We started it in early Feburary with Steve Hackett, with the Cruise To The Edge thing that went from the south of Florida to Cozumel, Mexico, and then we had many shows in the US. We had very short downtime before we went out in Europe for almost a month, and then home for a week and then there was the UK, basically. I just got home last Saturday, and it takes a while to actually wind down after such a hectic schedule. The most recent Steve Hackett run began in Dublin. It was a fantastic start. I remember flying over and being rejuvenated and rested a bit, and the voice was in form. I was in the midst of kicking a cold, but it lasted for more than five weeks. It was a nasty bugger! You would never have noticed you were suffering from a cold from the fantastic array of material you covered in Dublin. Well, thank you. We did do some of the earlier stuff; we did ‘The Musical Box’, and in general, it was lots of Phil Collins-led songs; both from ‘Wind And Wuthering’, and ‘A Trick Of The Tail’. That’s what it was all focused on this time, in tribute to the 40th anniversary of ‘Wind And Wuthering’ album. Do you enjoy performing the Genesis material? Yes, it’s very much written in my DNA. I went to see Genesis for the first time on my 18th birthday on June 4th 1977 – I’m revealing my age now, I guess! So I love singing the Genesis stuff. It’s very much ‘me’ as well. I put my own stamp on it, but I happen to have a voice that has a bit of the same texture. Your live performance is relatively theatrical. It’s just a part of me; I always was a bit of a theatrical drama queen! I just like to put on a show. What I do on stage is very much what I’d like to see myself when I see someone on stage; just not standing there, but do a bit more, like [Peter] Gabriel would do, or Bowie or Alice Cooper. These people that I grew up with, they put on a show, so that all comes very natural for me to do that. Steve Hackett has returned the favour, guesting on your new album ‘The Bride Said No’; was it easy to coerce him into appearing? It was no big deal for him, because he did track guitar on three songs on my previous album ‘Courting The Widow’ , and I think he expected me to ask him. I did tracks and vocals on his last album ‘The Night Siren’, so you know, we do favours for each other. So no, that wasn’t hard at all, and he quite enjoyed it, actually. Is it difficult coming off a big tour with Steve Hackett, and going straight into the promotion for your own album? Well, it’s a completely different thing. I can do this in the pleasure of my own home. I find it quite exciting, and I’ve been waiting for a long time for this music to surface and get out there. I just feel excited about the whole thing, really. I have been able to recoup for a bit and sleep in and just do nothing, apart from a bit of gardening. I live out in the country, so it’s a completely different setting, so I quite enjoy keeping in touch with the fans. I do a bit of Facebook, and I’m a very social guy; I love people, and so I have no problem with it at all. Do you do much socialising out on tour, or does your voice require rest between shows? Well, after the show in Dublin - and this is something that we rarely have time to do - but the whole band actually came out and met the fans in the bar. That show, Dublin was just on their toes; they just loved it. I mean, the crowd cheered louder than I can remember hearing any other crowd, and it was a lovely, lovely evening. We didn’t want to go back home; we wanted to stay and celebrate starting the new tour. We just had a fantastic time. I may have had one rum too many, I don’t remember, but it was a lovely night, and I was not hungover, I remember that much. So you enjoyed the Irish hospitality? I’m a huge lover of Ireland. I used to live there twenty years ago, down in west Cork. I had a cottage up in the hills in between Skibbereen and Baltimore. I haven’t been down there since 1998, but I’d love to return, and I’d love to tour parts of Ireland with my own music. Actually, my great, great grandfather came from Armagh, and then he moved to Motherwell, Scotland, and that’s where my grandfather came from when he moved as a little boy to Los Angeles. Do you have plans to play any live dates in support of ‘The Bride Said No’? It’s still a studio kind of project, due to the fact that I’ve committed myself to Steve for a long period. We’re going out on the road again next year; I don’t know for how long, but we definitely are continuing the journey. I will after we return from touring. We’ll have a gap, I’d say for about four or five months where I’m going to start writing on my third album. I’ll have that out later next year, and that will probably be a good time for me to look at the possibility of taking my own stuff out on the road. I’ll have to check out who might able to tour with me. It’s a huge undertaking. Are you wary of taking something out with the responsibility of everything being under your name? Honestly, it’s a bit daunting, because it all comes down to me, and I’m quite sure I can’t manage it all by myself. I’m happy to have people to work with, and I’m yet to figure that one out. My previous album ‘Courting The Widow’ was quite successful, and the record label were very pleased with the response and the reaction to that one. So it’s gotten a bit higher this time, and the expectations are huge on the new record. But so far I’ve seen the reviews, and they’re very nice, and I just hope it’s going to do as good, or even better than the previous one. You mentioned plans for a third album. It’s a trilogy I’m working on, and when the third one comes out, it’ll be a continuation of the characters. It’s a kind of little story, It’s not a concept album, it’s not a story like that, but it’s got these characters. I’ll make the third one and then hopefully I’ll take it on the road; that’s my biggest wish to do that. Have you any idea who you might like to work with when you take it on the road? I do have an array of people that I would like to work with, and it all comes down to who’s available, and you think who would fit in. For instance, I was in a band with Roine Stolt called Agents Of Mercy, and we cut three records, and the keyboard player in that band Lalle Larsson is a complete demon on keyboards. He can play absolutely anything, and he’s a shredder as well; I’ve never seen anyone play so fast, and his technique is flawless. Also, he’s a very good friend of mine, and so, I’d probably like to have him in the band, even as a musical director. I don’t read music, so I’m going to need someone to get into what I’m doing and analyse it and make sure that other musicians know what to do. I don’t know the chords, I don’t know what they’re called, and it’s so complicated some of my chords sometimes. I’ve learned it all by ear, and I don’t know anything else than that. On 30th June we fly out to Madrid for a big festival there, and then we continue to Italy to do four or five festivals in the first week of July before we head back home again. Then we have a rest until we go down to New Zealand and Australia at the end of July. We’ll probably do a few more dates down there, but it’s not official, so I’m not sure whether I should say anything about that, but we’re going to be around that area for a couple of weeks. Will you have the new album available for fans to pick up when you’re out on tour with Steve Hackett? Steve’s very generous that way. We can all bring our music with us. Maybe not the whole catalogue because maybe that would be too much, but maybe the last album we’ve done; from The Mute Gods and my album. So that will happen as well. What’s the reaction been like to the album so far? So far, the fan reaction’s been very good to the singles that have been released. The third single ‘What Have You Done’ which features both Steve Hackett and Guthrie Govan [guitarist] is quite an exciting video. It’s a massive ballad and I think it’s going to go down really well. I hope it will! Nad Sylvan’s ‘The Bride Said No' is out now, via Inside Out Music. 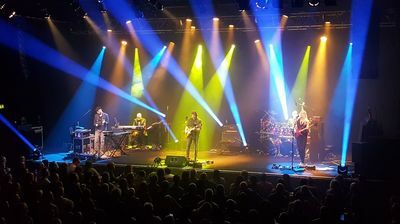 Steve Hackett Brings Night Siren Melodrama To Dublin As UK & Ireland Tour Kicks Off. 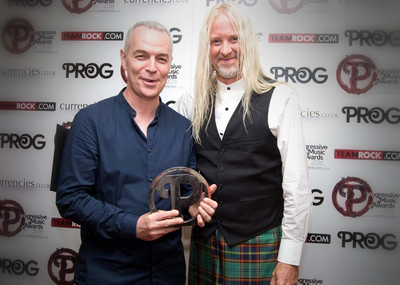 INTERVIEW: Nick Beggs & Roger King Talk The Mute Gods. 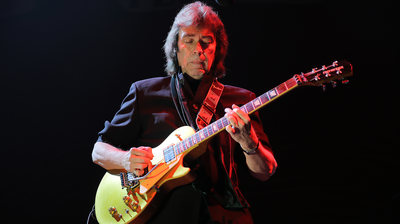 INTERVIEW: Steve Hackett Delves Deep Into His Musical Roots.